are not enough to take us into the real presence of God where we can hear his voice. This book is an invitation to you to meet God deeply and fully outside the demands and noise of daily life. 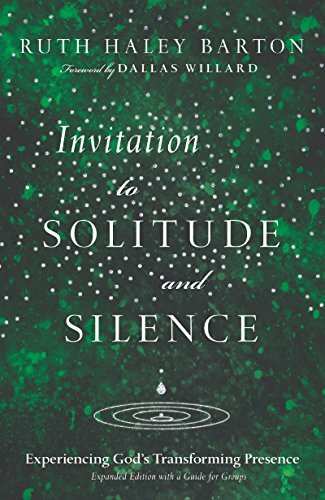 It is an invitation to solitude and silence. The beauty of a true invitation is that we really do have a choice about embarking on this adventure. God extends the invitation, but he honors our freedom and will not push himself where he is not wanted. Instead, he waits for us to respond from the depths of our desire. Will you say yes? This expanded edition includes a guide for groups to use both in discussing the book content and in learning to practice silence together.